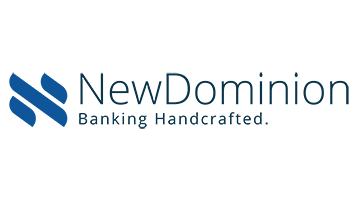 NewDominion Bank is seeking a Premier Banker to provide handcrafted financial service to improve the lives of our clients – and the community. As part of our passionate and collaborative local team, you’ll be responsible for new business development and relationship management for business executives and professionals. New business development encompasses generating new loans and deposits with business owners as well as establishing employee benefit programs with businesses. Relationship management includes overseeing a portfolio of personal clients to manage overall profitability and retention while providing concierge-style service. 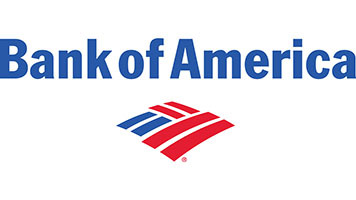 This role will be active in the community through volunteer efforts with civic organizations and representing the bank at various market events. There are no supervisory duties related to this position. • Initiate and develop professional banking relationship portfolio. • Build and grow Local Advantage financial education and bank at work portfolio. • Develop and execute a “go-to” market strategy in uncovering opportunities through calling on prospects, centers of influence and cross-selling existing bank customers. • Build and retain a profitable client portfolio by recommending accounts and services and delivering an exceptional client experience. • Actively making outbound sales calls to existing clients and prospects. • Take initiative to maintain a working knowledge of current accounts and services. • Adhere to government guidelines and compliance procedures when initiating loans, assuring compliance with Federal, State and Internal regulations in Commercial Lending, as well as the Company’s established policies for credit review and lending. • Assist auditors, loan reviewers and regulatory examiners as necessary. • Complete all assigned compliance training prior to established deadlines. • Support NewDominion Bank in a variety of other duties and responsibilities as assigned. • Minimum of a 4 year College degree, preferably in Business or Finance. • Minimum of 5 years of job-related experience in the banking field with emphasis on small business, private banking or retail. experience. Must possess a working knowledge of credit analysis, lending, banking and compliance regulations. • A strong commitment to a team culture and positive attitude is required. • Must be proficient with Microsoft office programs such as Outlook, Word and Excel and financial modeling. • Ability to successfully work independently while maintaining a team focus. • Excellent verbal, written and interpersonal communication skills required. • Ability to prioritize and organize multiple tasks while remaining detail oriented in a fast-paced environment. • Demonstrated sales and negotiating experience.